I love to garden! I wish I could live in one of those places where you have lots and lots of space to have trees, plants, and flowers. . . . So far, I have basil, peppers, tomatoes and aloes. But wait, maybe you’re wondering what this has to do with cultural transformation? Well, a lot! “Growing your desired corporate culture takes intention, planning, time, attention and responding to conditions,” says Ashley Munday, SweetRush Director of Cultural and Organizational Transformation, in her article, 5 Steps For Growing Your Desired Corporate Culture. Cultural transformation is like gardening: a holistic process of planting seeds, then seeing the plant grow and produce fruit. It is not easy work, especially when you need to check on your results and see if your approach needs adjustment to help the plant become stronger and more beautiful. Just like the soil and weather impact a plant’s health, the workplace environment fosters conditions for the health of the company culture. This series of articles on corporate culture written by Ashley offers insights to help you create a fertile environment for collaboration, learning, and innovation through cultural transformation. Collaboration is important in a cultural transformation process and involving other teams can help in shifting cultural values. This article also offers examples of policies, procedures, and programs that can be helpful to reflect the organization’s values. Leading! You can create the conditions to motivate and invite new ideas and invention to appear. This article describes five main practices that will lead your team into a culture of innovation. In every organization, each team is very different and so is its culture. If you would like to determine the best path for cultural transformation, confer with your team and check on these key success factors for nurturing your desire culture. This article focuses on why it’s important to consider leadership teams when the organization is looking for a cultural transformation. Besides discussing the importance of having leadership involved, this article also contains a self-assessment that will help you perceive whether the top team is part of your culture plan. 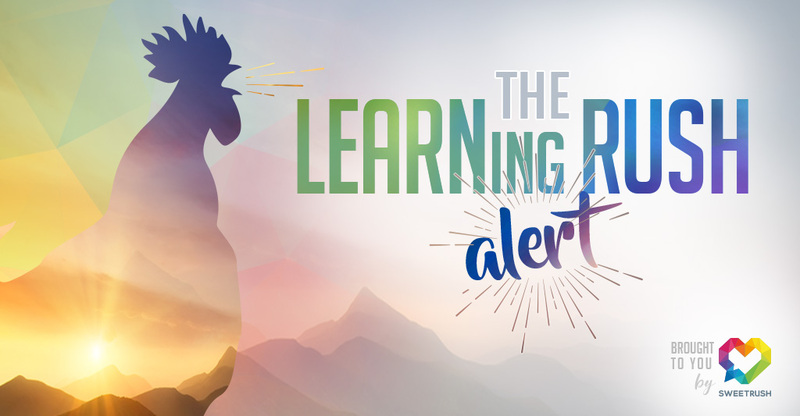 Here’s a great resource to help you start your culture transformation on the right path. 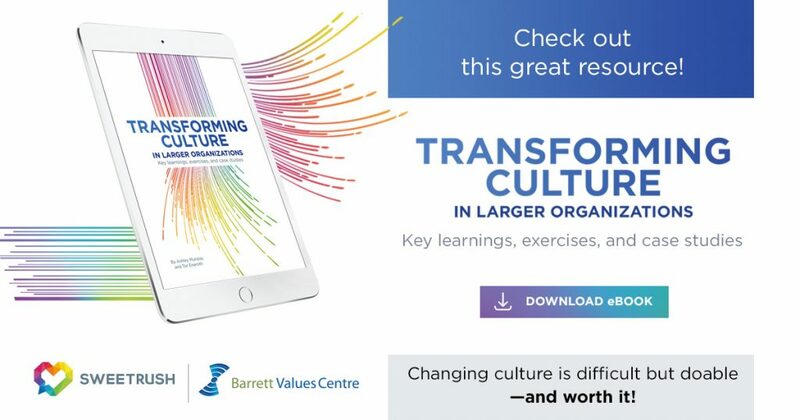 In this eBook, Ashley Munday, SweetRush Director of Cultural and Organizational Transformation, and Tor Eneroth, Network Director of Barrett Values Centre, describe best practices, case studies, and insights to guide you in the correct way to transform your culture. Corporate Training Gamification 101 – Back to the Essentials!